What is Indian Ayurvedic Massage? How Effective is It? Is It Necessary? Ayurvedic massage is an option for those who wish to combine traditional medicine with the ancient Eastern technique, to achieve harmony and beauty to the body. Ayurveda is traditional medicine, the natural healing system of India. “Since 2002, it has been recognized by the World Health Organization as an alternative therapy, as well as by other organizations, such as the Pan-American Health Organization. In Europe, Ayurveda is increasingly accepted to be an extensive traditional system of holistic therapeutics. It is since 1993, the European Academy of Ayurveda has been conducive to this development, both by professional educational schemes and by supporting international exchange and research projects. Ayurveda Health and Treatment Center in Birstein, Germany, is running its institution since last 25 years. At the University of Buenos Aires, there is a postgraduate course in Ayurveda for doctors, which demonstrates the interest for this type of therapies. In India, Ayurveda is studied in the university, like Engineering, Architecture, etc. What Does This Therapy Include? In this therapy, medicinal herbs are used, Ayurvedic massage called panchakarma, is a general therapy that serves to restore balance within the body. Ayurvedic massage has benefits for all levels; it can revitalize you, and detoxifies you; in short, it is for the person who is interested in restoring their body balance, through the gateway of natural Ayurveda. Can Ayurveda Cure Any Disease? Ayurveda is focused on having a lifestyle totally synchronized with nature, that includes lifestyle, food and all the physical and mental emotional aspects that we need to live in. The perfect harmony in the environment is necessary and when we get out of balance, obviously this therapy can bring us back. It is much related to the Samkhya philosophy, based on the fact that every living body is a mini-cosmos, everything that happens inside me also happens outside and there is no separation. It is from this vision of completeness of the integration of the human being with his environment that this philosophy of life is born and also how to restore balance. It is Samkhya, from which the philosophy of the three guans comes from, the characteristics of the universe and the theme of the five elements are also explained. From this, ayurveda develops what would be the doshas or biotypes, which advocates a perfect integration with nature. That means caring for the body with ecology, for example, it says, explaining that we are living as the result of the paradigm of not taking care of our body or ecology, of simple exploitation without considering that what affects us from the outside also affects us inside and vice versa. It is a yogic and Ayurveda center, in Hinduism and Tibetan Buddhist tradition Shambhala is a mythical kingdom. It is said that this kingdom is laid out precisely in the same form as an eight-petalled lotus blossom surrounded by a chain of Snow Mountains. And in the between lies the palace of the King of Shambala who governs from the city called Kalapa. Massage is one of the best ways to return to balancing the body system. The massage, helps you to restore your balance, improves your digestive system, it is good for the nervous system, perfect, but if the next day you continue with your style of stressed life, you will always be ending in various ailments. It is oriented to restore the vital flow within the body and eliminate toxins. There are about 107 marmas, vital points, which are distributed throughout the body, and which are stimulated by movements. That’s why it has a rhythm, a sequence. In the joints, circular massages are made just to remove the toxins. All the massage goes through the heart, because this organ is the one that pumps and cleans. The entire lymphatic system is stimulated, the abdominal part, the abdomen, all oriented also to elimination. The head, is the brahma randhra (the passage through which life enters, and can exit, the body) , which means the entrance of energy, or of brama prama and they are synonyms. 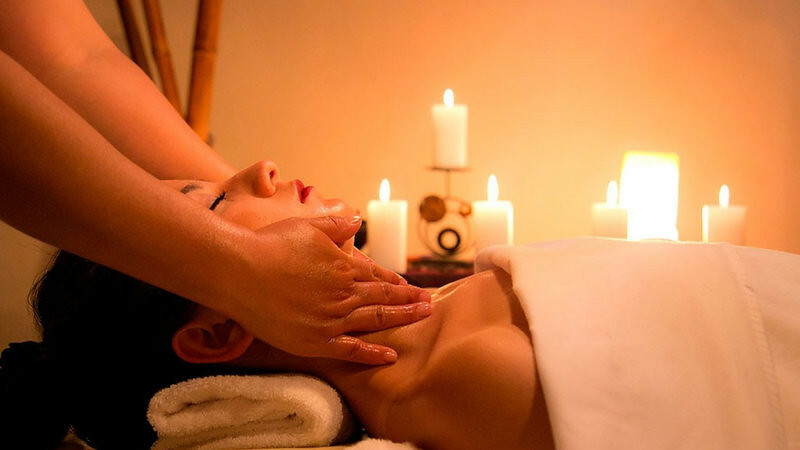 All the movements that are made with Ayurvedic massage are aimed at stimulating the vital flow so that everything flows, so that the elimination of toxins takes place. The messages are made with sesame oil, which has many vitamins and minerals, especially for people who have dry skin; it warms the body, which favors the elimination of toxins; It is extremely good for the nervous system and also has several essential fatty acids and vitamin E, which are very good on the skin. Ayurveda focuses on changing the lifestyle. As man is perfectly integrated into nature, if this cycle is broken, imbalance occurs. The doshas or biotypes, points out, people have three types of energy based upon the theory of the five elements: vata, pitta and kapha. The vata is dry and cold; the pitta is hot and humid, and the kapha is dry and solid, then one is balanced by the opposite, and as the diet is different in each type of person. And there is also a lot of emphasis on metabolism, agni, which is our digestive system, if that work rightly we are healthy. How To Be Healthy With Ayurveda? The first thing that let Ayurveda doctors do verify your Agni, which is the one that really metabolizes and nourishes all tissues and nourishes the body and mind, and when it does not work well what we consume becomes toxins. The Agni is regulated with a fast of fruits, and with ayurvedic massage. Why Is Ayurvedic Massage Necessary? The Ayurvedic massage is done with a whole sequence of movements to stimulate both the blood and the lymphatic system, because the lymphatic fluids help to nourish the cells and also to detoxify. The lymphatic system only moves with the contraction of the muscles, and if one does not exercise, if one does not move, the toxins accumulate. So, these movements are an alternative for people who cannot exercise, the contraction is simulated, and then the lymphatic system is stimulated. For What kind of Diseases is Recommended? Ayurvedic massage is more preventative, this is at the limit of healing and prevention. The disease has six steps, advances in six processes. The first three steps do not exist in western medicine. For example, for Ayurveda that your skin is drying or that you have a little heat, it means that your dosha are already unbalancing. There already precautions are taken, such as feeding, the use of herbs and massage. Is Massage an Integral Therapy? It’s just that, which is the definition of Ayurveda, which looks at everything that is health, body, mind, which is the meaning of (ayu) life expectancy. It is perfectly integrated, in order to be didactic; we go for part; for them, it is a set of things. If there is no-good metabolism, it is a sign of illness, and good health is that all that is in balance. Of course, happiness is like a pyramid, and you have to fix your mind, your body. Being happy is included in the Ayurveda definition of health. So happiness would be our spiritual health, that’s why we are talking about all levels of health. This is a comprehensive health system that helps you balance all your dimensions. A healthy person is a happy person.